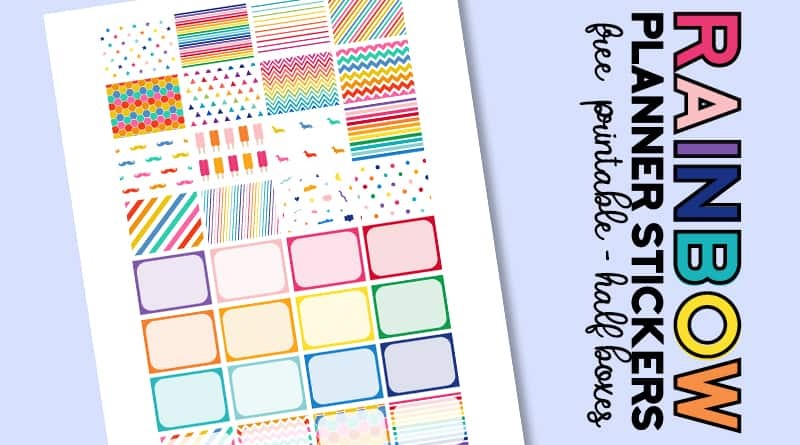 These printable half box rainbow planner stickers will add a nice touch of color to your planner all along summer! Bright colors make me think of summer but you can use these stickers all year around of course. There’s nothing like a rainbow of colors in your planner to cheer you up! This sheet includes 32 half boxes with colorful patterns. This printable is made to fit perfectly inside the classic Happy Planner, but you can still manage to use these stickers in whatever planner you have. Considering many of these stickers have a lot of white in them, I’ve added a very light grey border to make it easier for you to cut each sticker. These half boxes match the rainbow weekly kit and that you guys seemed to like. If you didn’t download it already, check it out, it includes different types of boxes: full boxes, half boxes, habit tracker, meal planning, work hours, weekend, checklists, etc. 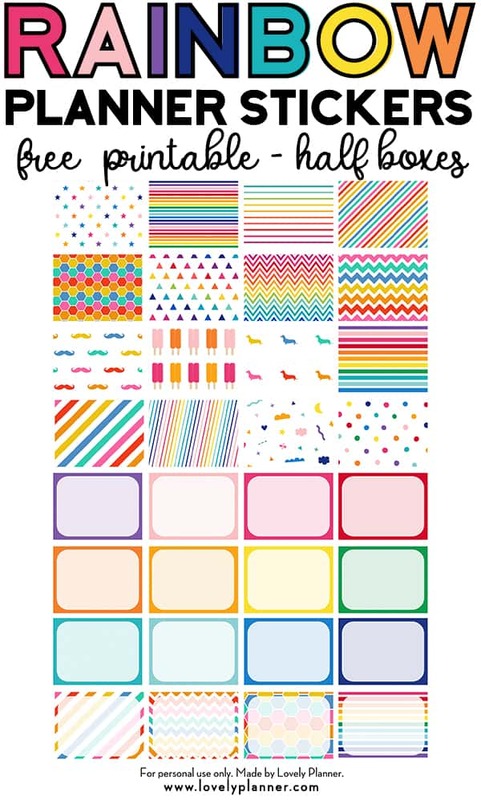 I’ve also shared a sheet with full boxes rainbow patterns stickers.